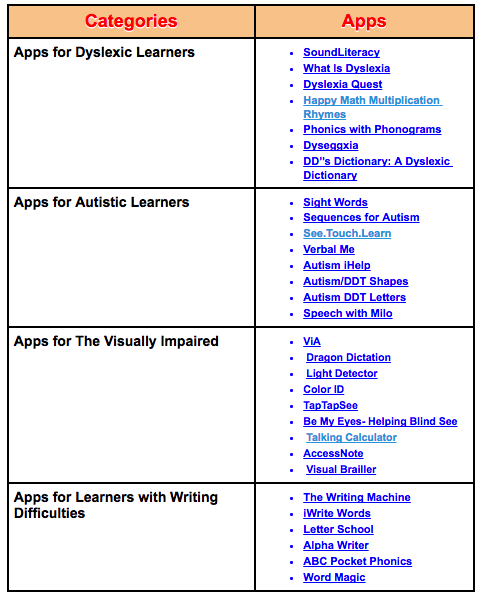 This is an updated version of the popular chart we published awhile ago featuring some of what we think are the best apps for students and learners with special needs. 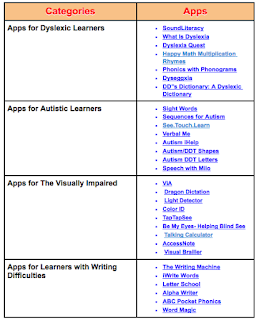 We have arranged the apps into four main categories: apps for dyslexic learners, apps for autistic learners, apps for the visually impaired and apps for learners with writing difficulties. For those of you using Android check out this list.